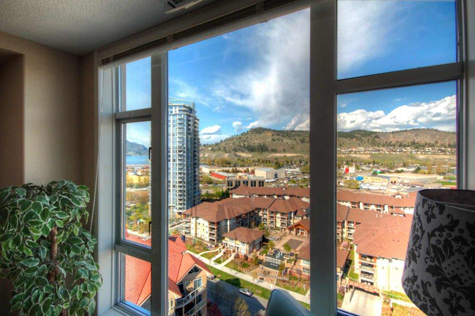 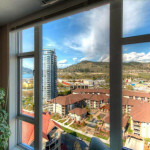 This is a beautiful, fully furnished 2-bedroom, 2-bathroom air conditioned condo on the 15th floor of one of Kelowna’s luxury waterfront buildings right in downtown. 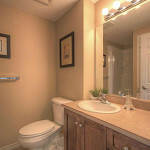 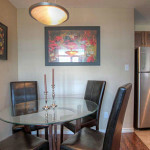 A very desirable location, and stocked with everything you may need in your home away from home. 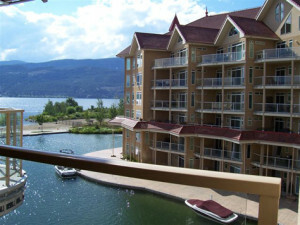 Being located right next to the beach, there are miles of waterfront walkways that offer a relaxing park-like setting. 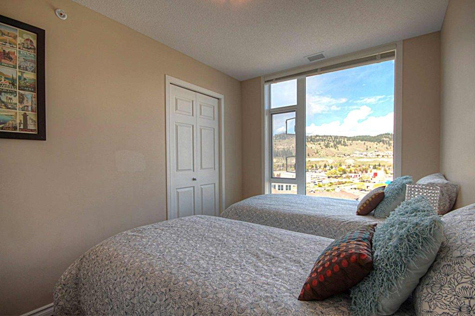 You are within walking distance to many nearby coffee shops, restaurants as well as casino and live entertainment venues. 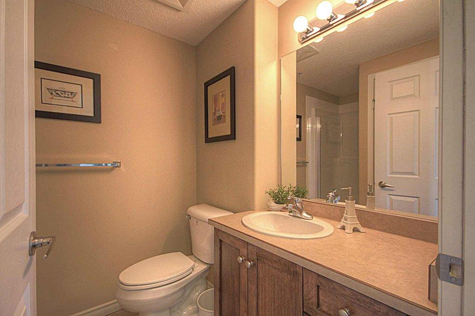 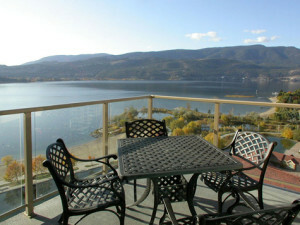 It is close to the Kelowna waterfront park and the beautiful bird sanctuary. 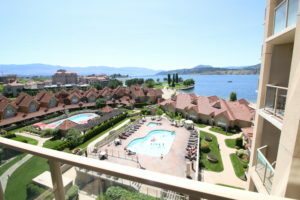 Sunset Waterfront Resort offers guests access to two pools and two hot tubs, one outdoor and one indoor for year round enjoyment. 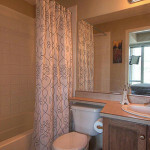 There is also a steam room and full fitness center, along with a tennis court and games room for our guests to relax and have fun. 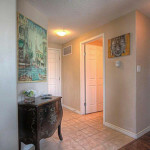 The building also has security byway of CCTV and electronic fob access. 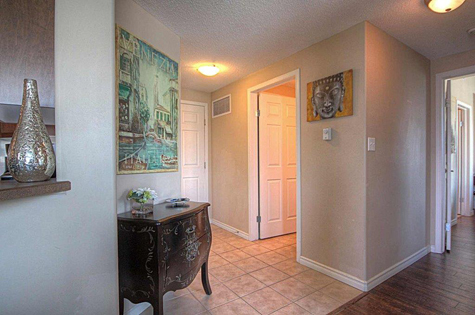 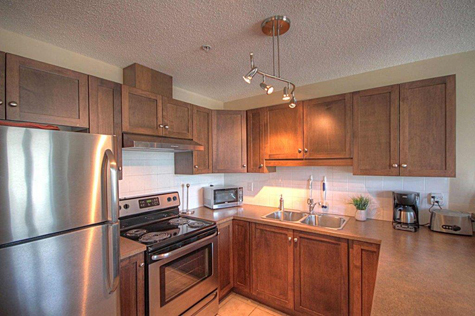 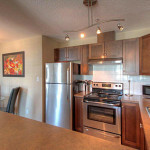 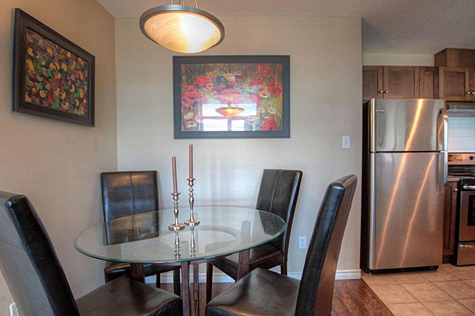 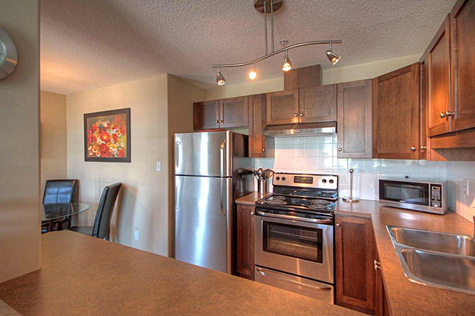 This suite has been renovated with new hardwood floor, new furniture, stainless steel fridge, stove and dishwasher. 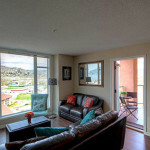 It’s has distant views to Lake Okanagan from both bedrooms and living room windows, a view of the city and stunning views of Knox Mountain. 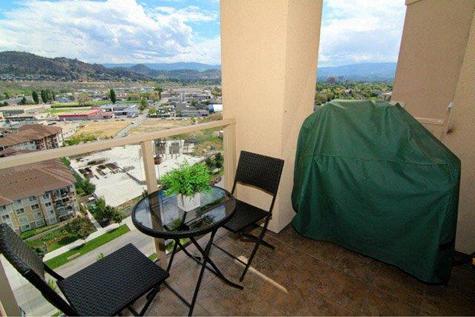 This suite has always been pet and smoke free. 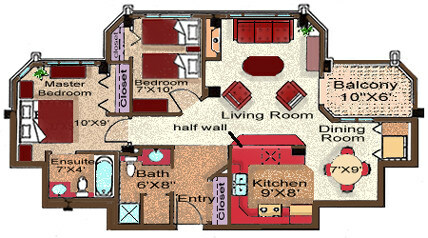 The master bedroom has a queen size bed, a vanity, a personal flat screen TV, with an ensuite bathroom with bath tub. 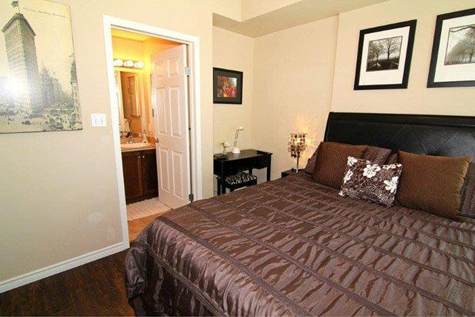 The second bedroom has two twin beds which can be converted into a King size bed (T2K). 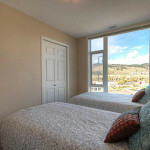 The living room has a queen size sofa bed and there is also a large flat screen TV and DVD player with the cozy electric fireplace. 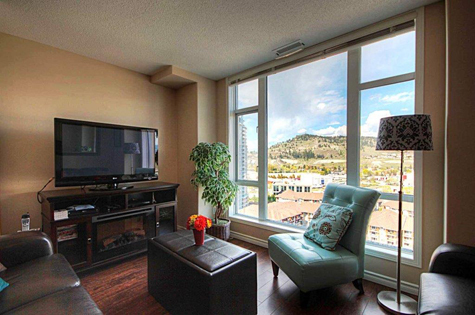 High speed internet and basic cable TV services are provided free of extra charges. 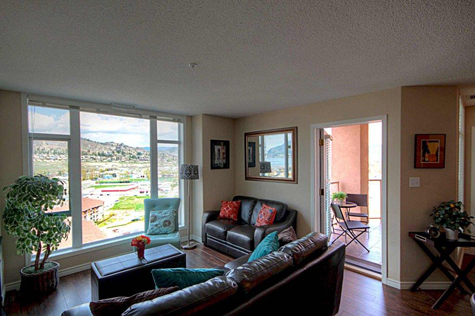 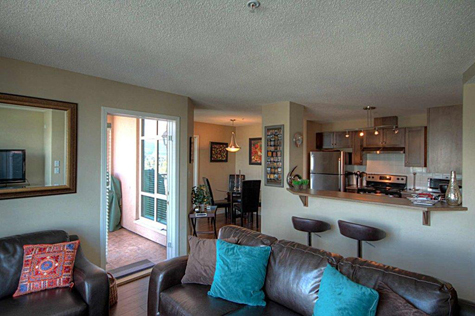 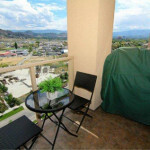 The balcony with it’s beautiful city and mountain views has patio furniture and gas BBQ. 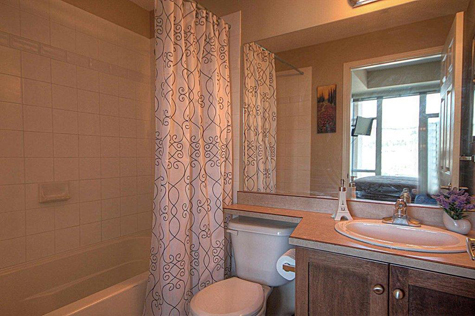 There are also in-suite washer and dryer for your convenience. 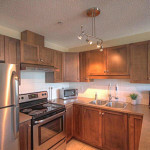 The suite is equipped with everything you need: microwave, toaster, coffee maker, blender, rice cooker, all kitchen utensils, hair dryer, extra bed linens, bath towels and pool/beach towels etc. 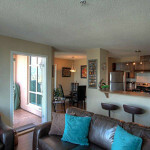 This suite can accommodate 4 guests (5 guests if one is on the living room sofa bed). 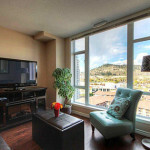 The suite come with one reserved parking stall at a very convenient location, near the entrance of the 2nd level parkade and the access door to the elevator.